Debt consolidation is the process involved in taking out one large loan to pay off many smaller ones. This is usually done to secure a lower interest rate, secure a fixed rate, or for the convenience of only having to pay back one loan. Assume that you owe £12,000 on a credit card at 18% APR, £2,000 on a store card at 26% APR and £6,000 on your car at 12% APR. By getting a debt consolidation loan for £20,000 at say £7% APR you can pay off all these debts with a single loan at a far lower interest rate and monthly payment. 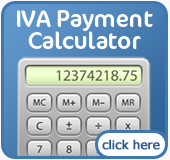 Try our debt consolidation loan calculator to find out how much a loan could save you. 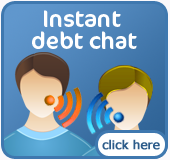 Applying for a debt consolidation loan is easy and you are under no obligation to accept any offer that you are given. A debt consolidation loan is often the best option for people who are not so deep into debt that they need to consider an IVA or bankruptcy. A debt consolidation loan can be from a number of unsecured loans into another secured loan, but more often it involves a secured loan against an asset that serves as collateral, usually your home. In this case, a mortgage would be secured against your home. This means that the risk to the lender is reduced so the interest rate offered will be lower. In certain circumstances, debt consolidation companies can discount the amount of the loan. If for example, you are in danger of bankruptcy then the debt consolidator may choose to buy the loan at a discount. It's always best to shop around to find a consolidator that will pass along much of the savings to you. Debt consolidation is usually advisable for anyone that is paying a large credit card debt. Credit cards often carry a very high interest rate. If you have property such as a home or car you may get a lower rate through a secured loan using your property as collateral. This means that the total amount paid toward the debt is lower - allowing the debt to be paid sooner, incurring less interest. There are also other forms of debt consolidation for people that do not own property and will allow you to take a number of debts such as a student loan or credit card debt and bring them into one easily managed loan.